Full Circle Fund Therapies is an award-winning integrated medicine charity. We are dedicated to supporting the quality of life of children and adults being treated at St George’s Hospital, London. We rely totally on donations to support this service and receive no government or NHS funding. Being diagnosed with a life limiting condition can be a frightening and upsetting experience.Research suggests the value of integrating Reiki into acute and high dependency hospital settings. We have introduced Reiki to support very sick children and adults, their carers and staff in areas of critical need at St George’s Hospital. From this, we plan to carry out well designed research studies to add to the evidence base of the benefits of Reiki for patients. Our initial target is to raise £90,000 to support this innovative project. Please see ‘Our Mission’ for full details of funding requirements. 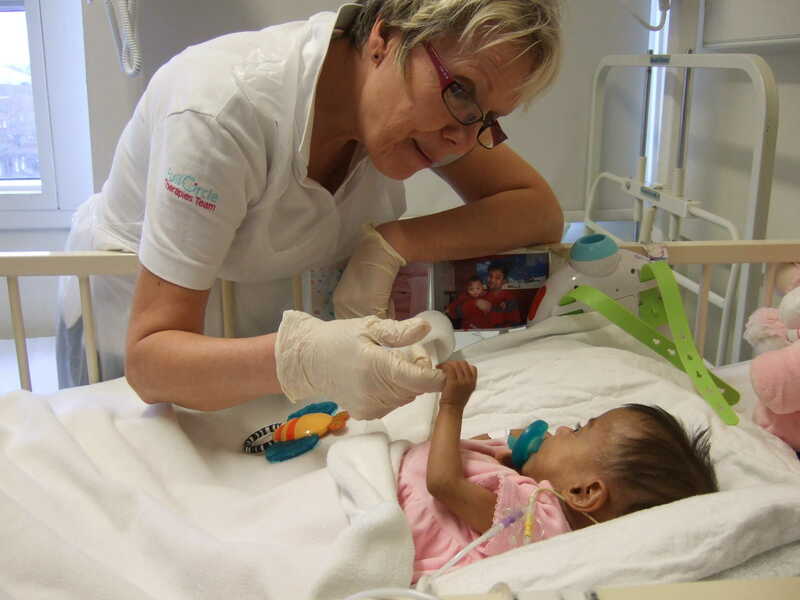 Your support is needed to fund this pioneering hospital-based project. All donations through the links on this website will be dedicated exclusively to the Connecting Reiki with Medicine programme at St George’s and to enable the roll out of the programme to other leading NHS hospitals and medical establishments elsewhere.